Hi friends!! I hope your week is looking up so far. 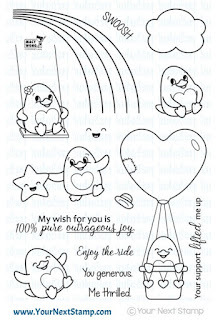 My daughter has a friend who had a birthday last week, and I wanted to use this adorable new stamp set Waddles Rainbow Fun again to make her friend a birthday card. 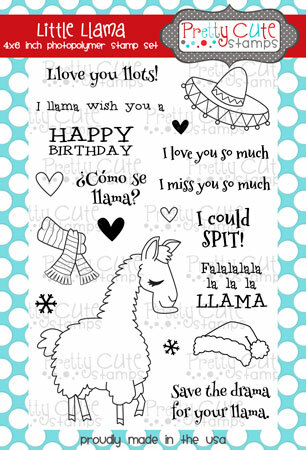 You can see the other cute card I made using this set here on this post. I decided to use some paper from a Basic Grey 6x6 paper pad and used a sketch from Mojo Monday. This sentiment is one of my favourites, and would make anyone's birthday extra special! I stamped my images on white cardstock (there are so many in this set!) and coloured with Prismacolor and Hobby Colour markers, adding white gel pen accents and popping up a cute cloud. 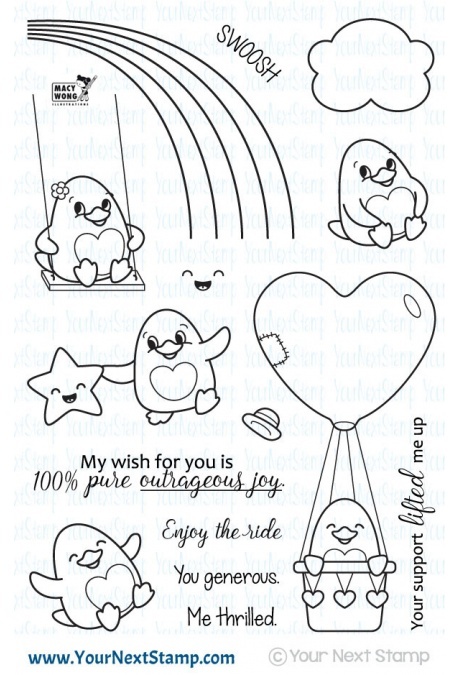 Inside I stamped a Happy Birthday sentiment from the Wish Big stamp set from Pretty Cute Stamps and added another cute penguin to create a matching envelope. Thanks so much for stopping by today! I hope you have a fantastic week! 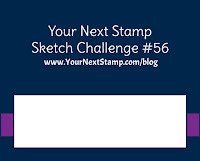 Enjoy The Ride with Your Next Stamp! The first card I made using the Waddles set (and there are lots of other Waddles sets to check out!) was this pretty card using the heart hot air balloon. 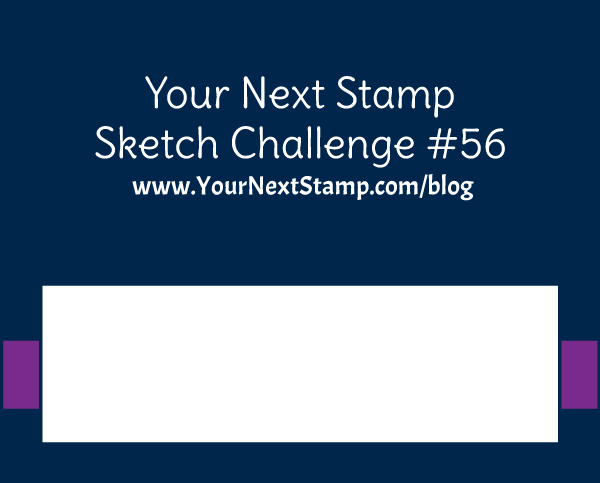 Each month there is a sketch and a colour challenge, with a chance to win a gift certificate on the Your Next Stamp blog, so I decided to use both challenges on my card! I coloured this cute image with Hobby Colour and Prismacolor Markers, one of my fav techniques, and added some white gel pen and Glossy Accents over top. I used some foam dots to pop up the image and my fluffy clouds. This little guy looks so happy! I thought the hearts could be for Valentines or the card could be simply a friendly hello. I added my favourite sequins from the SpiegelMom Scraps Shop as the finishing touch! Here's a look at this cute set - there are so many images! Thanks so much for stopping by today! 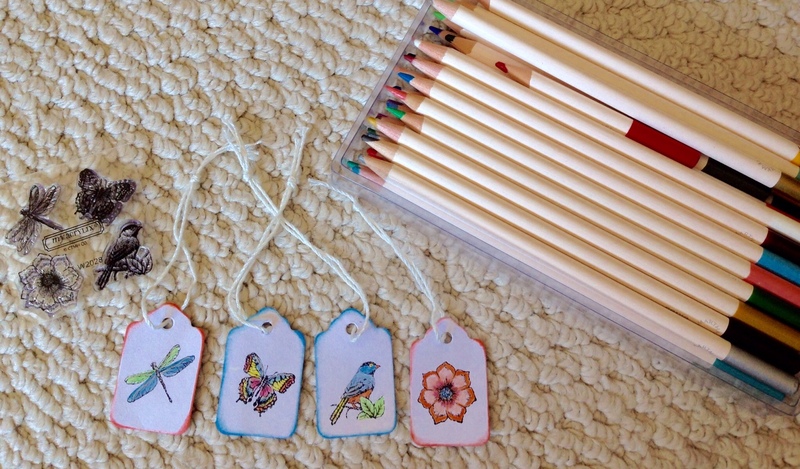 I hope you have a wonderful weekend with a little crafty time! 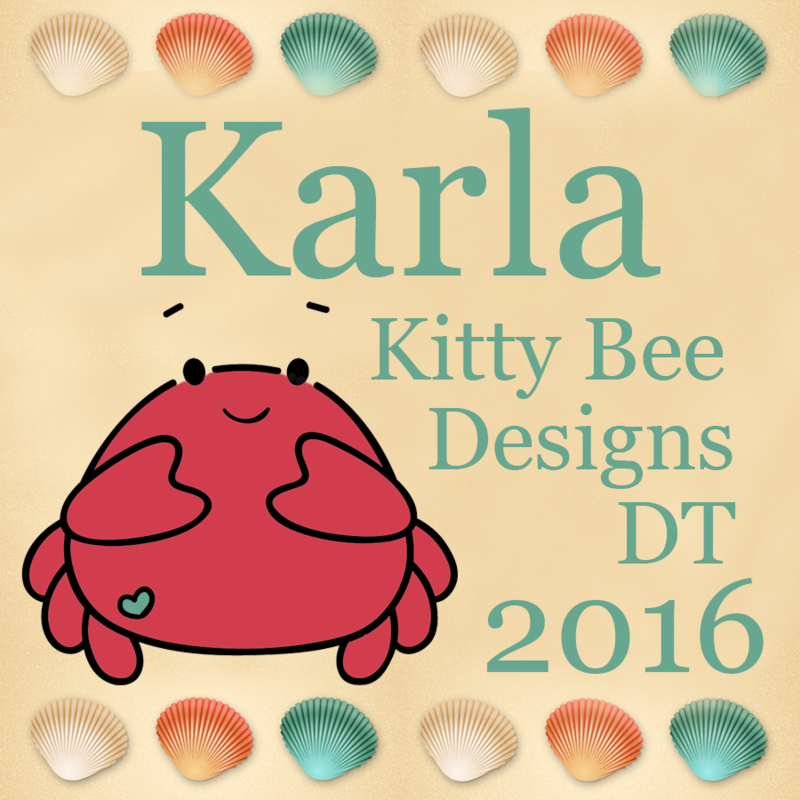 Kitty Bee Designs - Bee Mine! 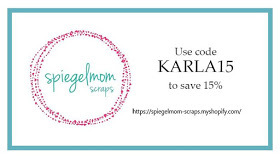 Hi Crafty Friends!! I'm back today with a super cute digi image to share with you from Kitty Bee Designs - Panda Balloon and Bouquet Valentine Digital Stamp! Seriously, how cute is this little guy with his sweet bunch of bamboo?!! I started off by adding some Distress Inks and water to a panel of watercolor cardstock. I love the technique of adding inks to a splat mat, spritzing with water and laying watercolor paper on top. It turns out different every time, with lots of lovely layers and interest. After I printed him out on white cardstock, I used Prismacolor and Hobby Colour Markers to color in the stamp - using a light grey to add a little shadow around the white parts. I added some pretty silk ribbon and pink lace and popped up the panda with some foam dots. Inside, I stamped a pretty script sentiment from Lawn Fawn. I matted my watercolour background on a layer of purple cardstock and added some lovely sequins from SpiegelMom Scraps for some shine! Thank you so much for stopping by today! 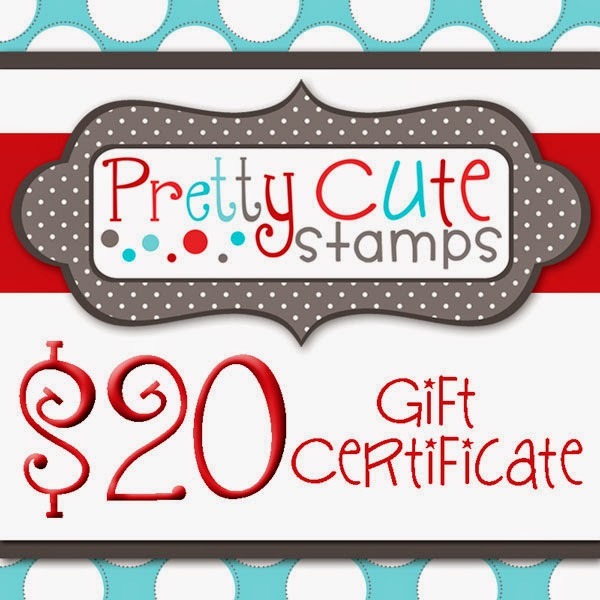 Be sure to head over to the Kitty Bee Designs blog for lots of wonderful inspiration - and their sweet shop for lots of adorably cute stamps! 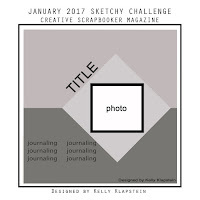 Make a project about Snow! Any project that doesn't use a Cricut element will be deleted. 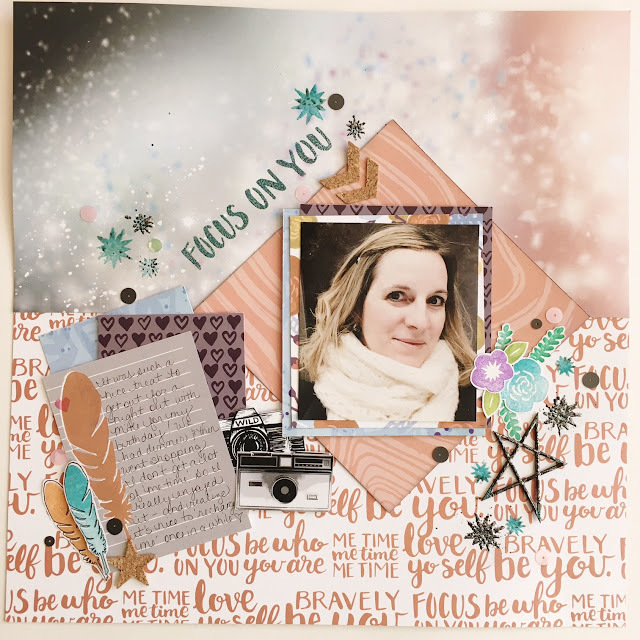 For this week's challenge I've chosen to use some cool snowflake cuts from the Gypsy Wanderings Cricut cartridge and cut the pretty snowflake border from the CTMH Art Philosophy cartridge. It has finally warmed up here a bit, but we still have snow on the ground and there are a few snowman to be seen around the neighborhood. I must say that my favourite snowman are these cute watercoloured ones that I can create in my jammies! I stamped the snowman and snowgirl from the Snowmies stamp set from Pretty Cute Stamps (our sponsor this week!) on watercolour paper and used Distress and Tombow Markers to watercolour in my images. I've been loving purple lately and decided to pull some pinks and purples from the Pink Paislee background paper for a pretty winter feeling. I used the snowy background stamp (see image below) included in the set to add white heat embossed snow as a resist in the background before adding some blue watercolour. I used some snowflake and heart stamps from the Little Llama Pretty Cute Stamps set - there are two sizes of snowflakes in this set and I used Distress Inks to add them to my wintery scene. I added a sentiment stamp from the Snowmies set right below my snowmen. Inside, I added the outside cut to the negative snowflake I put on the front, some matching paper and a couple more snowflake stamps. I love the fun, wintery look of this card. These lovely sequins from SpiegelMom Scraps, including these NEW snowflake sequins (so pretty!) add some shiny glimmer as a finishing touch! Thank you so much for stopping by today! 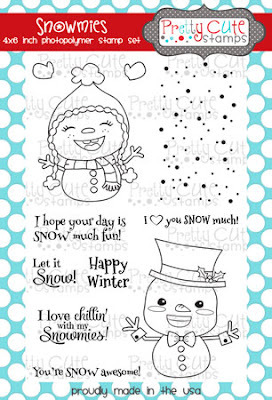 I hope your week is fantastic :) Be sure to head over to the Fantabulous Cricut Challenge Blog to see what all our other awesome Design Team members have come up with for this challenge - and enter your own Snow project with a Cricut cut for a chance to win a fab prize from our wonderful sponsor Pretty Cute Stamps! 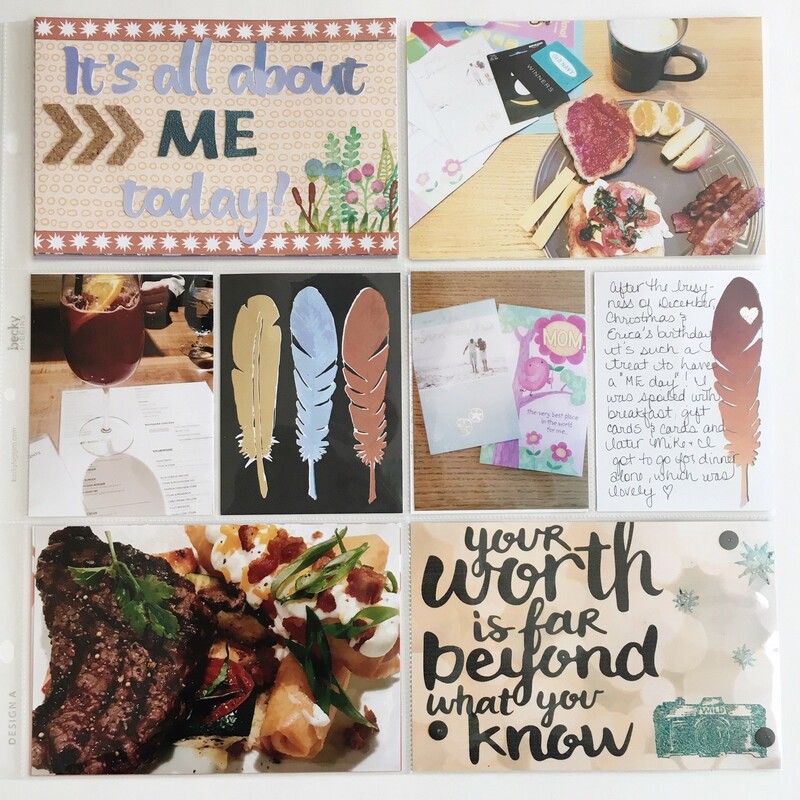 You can find the PCS Blog here with lots more inspiration too! 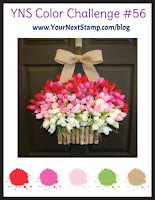 DIY Embellishments - Use Your Stash! Happy Friday! 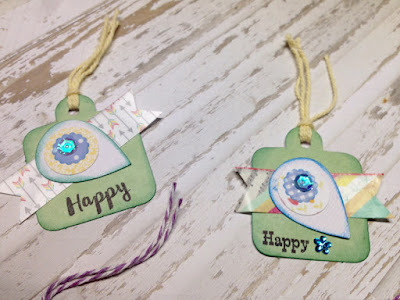 I'm popping in today to share a bunch of pretty tags and embellishments I created from bits and pieces from my stash! We all have those little bits of pretty papers and left over pieces of goodies - well I say, "Let's use them!" I sat down one day and grabbed a bunch of pretty things that I was just about to part with and decided to create some DIY embellishments. 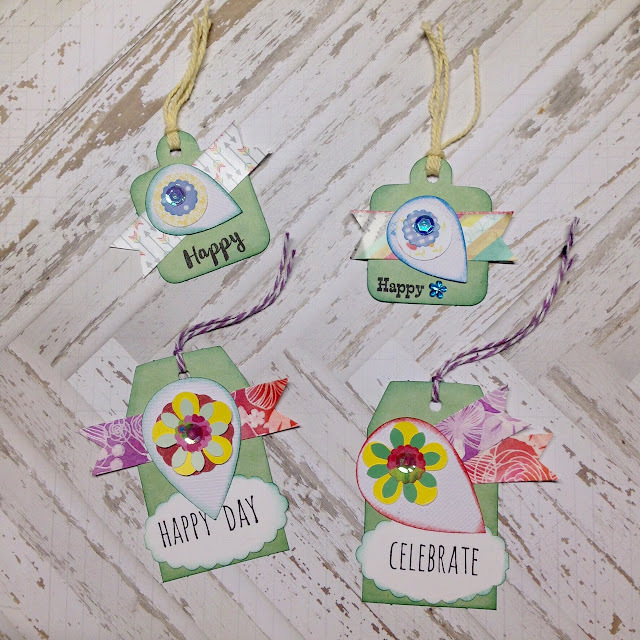 I gathered some tags, diecut shapes, stamps and patterned papers and added some Distress Inks and gems to create these layered tags. A few sequins, flowers and twine finished them off! These would look great layered on a scrapbook page, card or tucked into some Happy Mail. 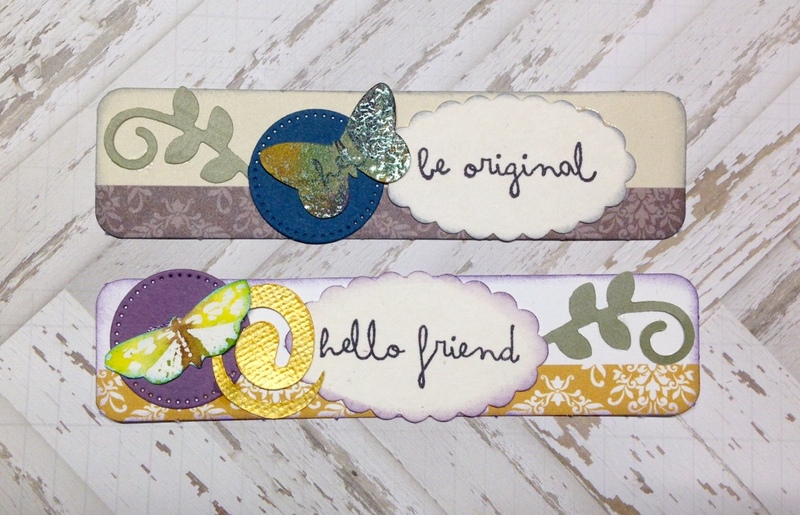 These labels worked great as a background to layer some diecuts and stamps on! 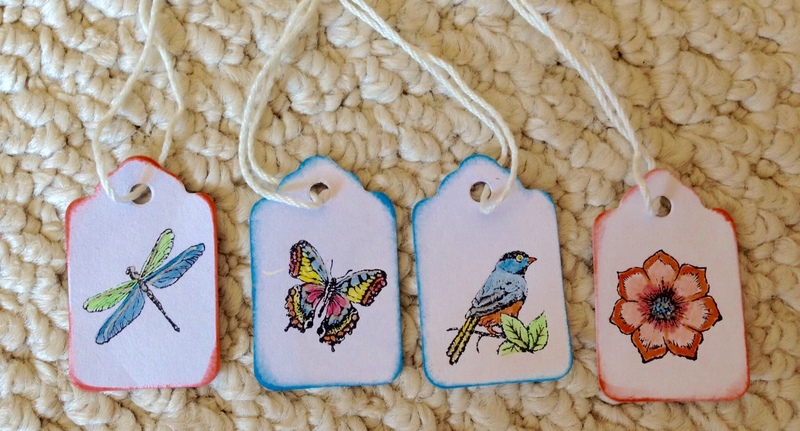 I love how these one layer tags turned out - using some mini CTMH stamps and inking around the edges. Some basic coloured pencils shaded in the images and they were ready! Wild Whisper - Focus On You Layouts & VIDEO! 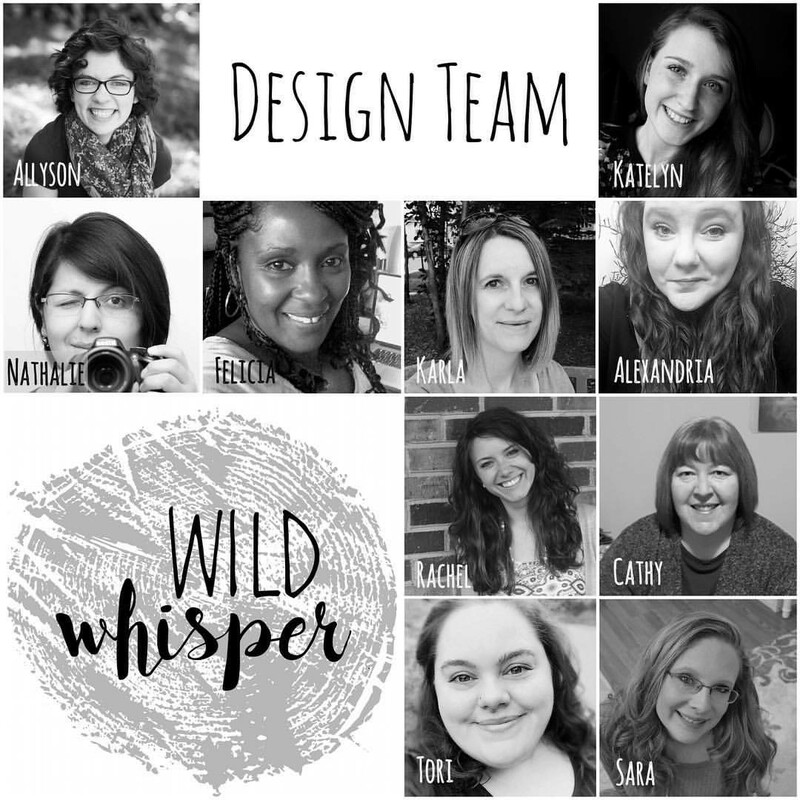 I am so super excited to announce that I'm joining the Wild Whisper Design Team!! Wild Whisper is a new company in the scrapbook industry, designing their own beautiful products as well as carrying other wonderful products from small businesses. 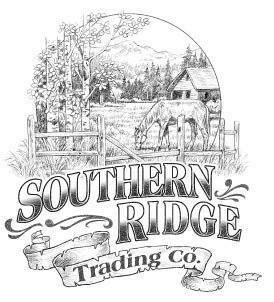 If you've never heard of them before I encourage you to check out their 'About Us' page! The New Release collection this month from Wild Whisper is 'Focus On You' and it is amazing! 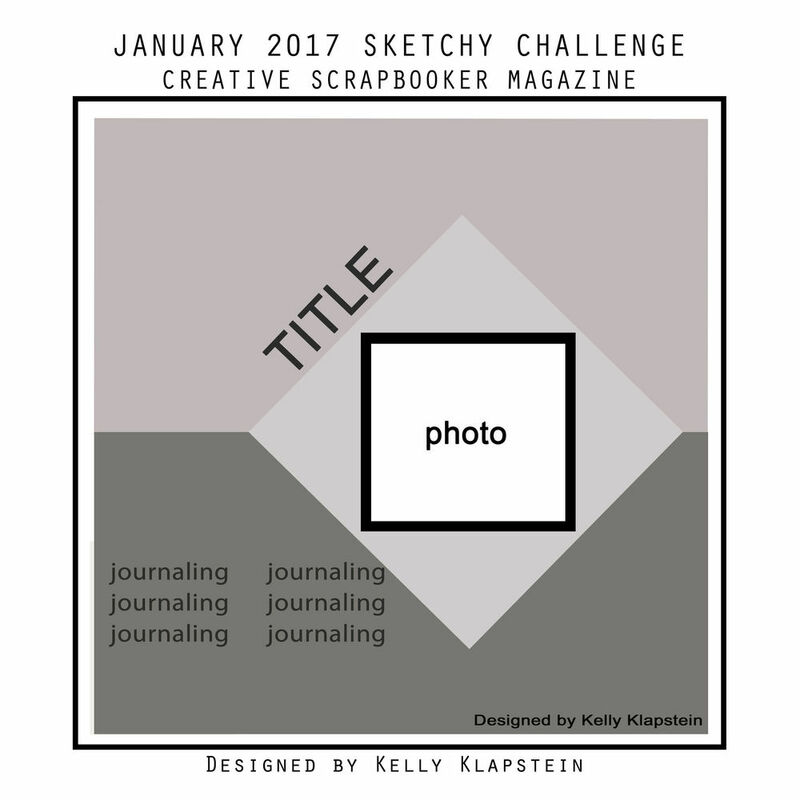 I am so excited to show you the pages I created with it! 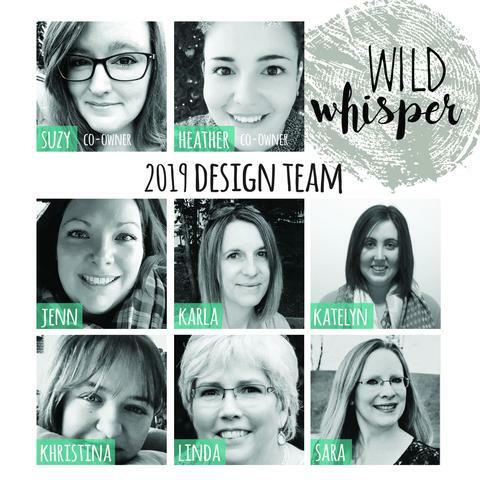 Scroll down to see my layout and pocket pages, and check out the all the details, products used and close ups on the Wild Whisper Blog. Check out the process video here or click below to see how I made this page, the wonderful goodies I used and a walk through the pocket pages. 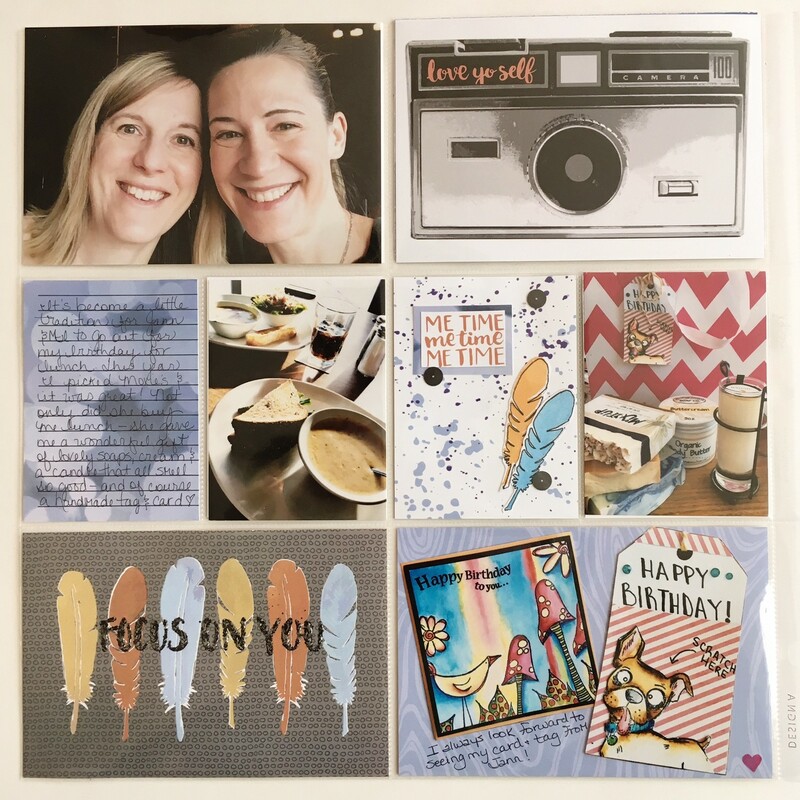 Be sure to visit the Wild Whisper Blog to see all the details, products used and close ups on these layouts and the Wild Whisper Website to checkout all the awesome products they have in their shop! Wishing you a fantastically wonderful week - with a little time to focus on you! Hi there!! I feel like last week just flew by, and I didn't get to share as many projects with you as I would have liked to... but I have been working on some fun new projects that I'll be sharing with you over the next couple weeks. I can't wait to tell you about this frame that I made for my niece Sydney at Christmas! You may remember some great photos and layouts I shared from last spring when I threw a Superhero birthday for her. 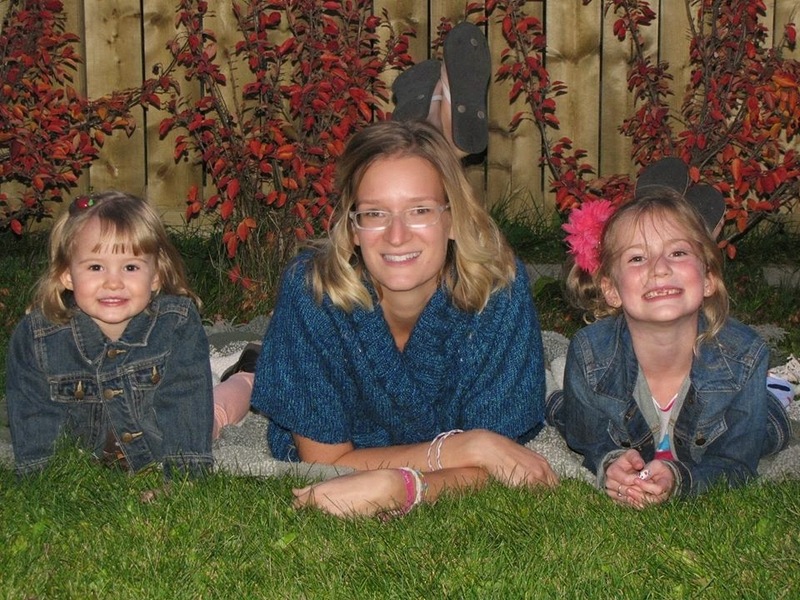 You can check out some pocket pages here as well as some pics from her party here. Well, since she loves Superheroes, I decided to give her a framed photo from that day - using this 'Super' cool scrapbook paper ;). I started off painting a wooden frame from Michaels with red Dylusions paint on the back and around the front edges. Then Erica helped me add Mod Podge to the front of the frame with a paintbrush. You can see we're watching crafty YouTube videos! Then we added the scrapbook paper, cut to size, onto the wood frame. I had a left over diecut from her party in my stash and I fussy cut some of the paper and added it on top. On the back, I covered the paper insert with part of the scrapbook paper and added a little note. 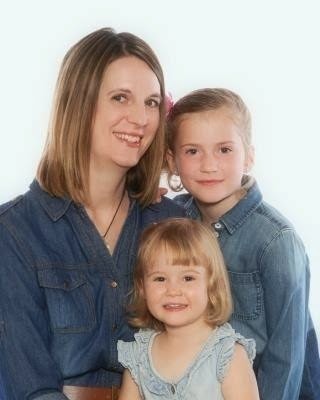 I just love how it turned out, and Sydney loved it too! Some sequins from SpiegelMom Scraps added that last touch of bling. Thanks so much for stopping by today! I hope your week is shaping up to be fantastic. I'd love for you to check out my newest video using some fantastic Canvas Corp Brand products - a Street Art Valentine Process Video!! FCCB #292 - Something New Card and VIDEO! Ori Kami Greeting Card Gift Set! Distress Crayon Watercolour in a Decorated Frame!